Last Saturday, Professor Diarmaid Ferriter wrote an article in which he mentioned that 40 years ago to that day, Alice Leahy produced a report because there was a serious homelessness crisis in Dublin. At that stage, 1,000 men and women were either sleeping rough or in temporary accommodation. Her report led to a task force which highlighted major gaps in approach and it stated that this issue was a matter of urgency. If I fast forward to 2006, the same Professor Ferriter was chairing a political debate in Trinity College. This was addressed by representatives from all of the political parties and Independent Deputy Finian McGrath. It was called the MakeRoom campaign and the topic discussed in 2006 was how to end homelessness by 2010. This did not happen. The Minister, Deputy Kelly, has taken a collaborative apolitical approach and has acknowledged that no one person or organisation has all of the answers. The key is persistent action because otherwise Mr. Corrie’s tragic death last week will be just last week’s story and will not go any further, and we will see further tragedies. The question is how do we go about preventing homelessness. As part of this I ask the Government to examine legislation I worked on with Focus Ireland, which identified a gap in the legislative framework. This legislation would ensure that local authorities and local government would have the necessary legal framework from which to develop the multi-pronged response required. The Minister will agree that unless we have this co-ordinated collaborative approach to homelessness, we will face further tragedies. Will the Minister look at this and pursue it with the Minister, Deputy Kelly, and Focus Ireland? I am told it would prevent what happens now, which is individuals or families telling their local authority that they will be homeless in a number of days or the next week and the local authority telling them to return when they are homeless. The legislation, of which Focus Ireland is very supportive, could prevent this happening. I thank the Minister and I will pass on this information. It has been said before that ending homelessness is a priority but it has not happened. I wish to consider another aspect of this, and I am glad the Minister for Health is present. We all know there are strong links between homelessness, mental health issues, addiction, prison and probation. 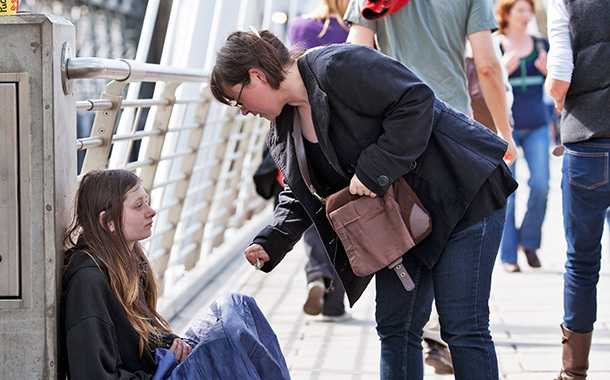 Figures from some organisations show that 72% of people who are homeless are so because of their addiction. For many the exit from homelessness is through tackling addiction issues, and they do this through residential rehabilitation supported programmes. Through this they get the confidence, life skills and self-esteem to turn their lives around. When this happens they are less likely to become homeless. What is happening, and cannot be allowed to continue happening, is these young men and women, many out of prison but in recovery in supported drug-free accommodation, are being asked to share accommodation with those who are homeless but in active addiction and living chaotic lives. It jeopardises the recovery of the first group. I want to mention two projects I visited recently, one in Wicklow and the other in Meath. One works with young men and women and the other with young men. Most of them have come out of prison and the majority have been homeless. One organisation gets some funding from a task force, but it only covers one quarter to one third of the total cost of running it. This organisation has room for more people. The other organisation started a programme last November with 12 young men, many of whom had come out of prison and the majority of whom were homeless. They had to turn down 30 young men and I do not know where they are now. Organisations such as these could be examined as examples of excellent practice in dealing with those people who have addiction and homelessness issues.